Does the photo look familiar? It might. 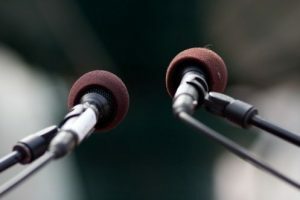 I used it five years ago to illustrate this blog post on how to become a more effective public speaker. I attended several industry conferences earlier this year and found the same public speaking sins were still being committed that caused me to write this piece back then. Hope springs eternal. We’re just about to enter the fall conference season, and you may have secured a speaking slot at an energy conference. Do not be afraid! You were selected for a reason — probably that you are a subject-matter expert on a particular issue. But mastery of a field counts for little if you can’t persuasively convey that to an audience. We hope you can use some of these helpful hints for public speaking when it’s your turn to stand at the microphone. My brain was under assault. Productive thought had long since vanished. I stopped taking notes two hours ago. More coffee was out of the question — my eyes already were twitching from too much caffeine. My mind wandered. In three hours I knew I would be at a baseball game with my family — but how would I pass the time until then? I couldn’t escape by playing with my mobile device because it couldn’t get a signal. I’m not actually in this photo, but I could have been. I left the conference feeling drained and disappointed. It had been a disaster — two days of my life I will never get back. What happened? The conference focused on energy industry issues I knew were important. The session descriptions piqued my interest. The speakers boasted solid credentials. I had secured a complimentary registration, so my disappointment wasn’t a question of buyer’s remorse. The quality of the speakers doomed the event for me. At this energy conference, some of the worst talks were given by people responsible for marketing or business development — people who should know how to speak in public. I won’t name the conference organizer or topic because I believe the quality of the event was anomalously low. I had attended several of this group’s events in the past and typically left feeling energized and enlightened, but this particular event was a clunker. Let’s be honest — bad speakers also find their way into utility conferences, don’t they? In fact, the plague of poor public speaking is not limited to specific industries, issues, titles or even genders. Great public speakers are rare. I don’t claim to be one. But I aspire to become one. I speak at industry conferences. I coach people that want to improve their public-speaking skills. And I have sat through numerous less-than-electrifying conference sessions and PowerPoint presentations during my 30 years in the utility business. 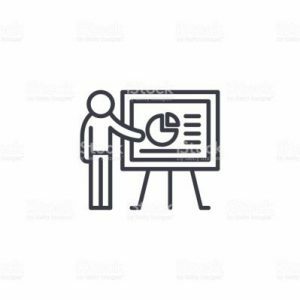 Do You Need PowerPoint to Deliver an Effective Speech? There’s an important distinction between public speaking and using PowerPoint to deliver a speech. Perfectly fine, even terrific, talks can be delivered without the use of PowerPoint. 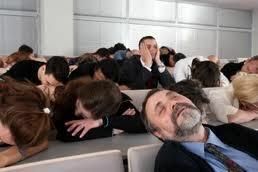 A recent article in Harvard Business Review, “How to Give a Killer Presentation,” effectively makes the point that great public speaking need not involve PowerPoint. So do most TED talks. PowerPoint is a tool. You are the master. Not every job requires the use of every tool. Communications Tip of the Month: Speaking at an industry conference is a great opportunity to engage in storytelling. Don’t just recite facts! Engage the audience emotionally with anecdotes. Enlist the audience as your co-panelists. Step away from the podium. Move around when telling your story. Don’t forget to breathe. Rock the joint! 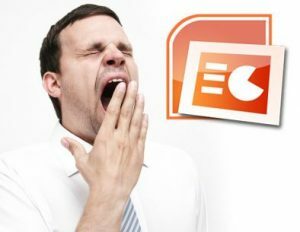 Today, I won’t focus on how to use PowerPoint more effectively. That’s a worthwhile topic, and I will cover that in a future post. I prefer to start at a more strategic level: what to do, and what to avoid, if you want to deliver a great public speech. Rely too heavily on facts to tell your story, at the expense of art and anecdotes. Facts will not engage your audience. Emotion will. Don’t be boring. Your audience will die soon enough. Don’t bore them to death. An article in Harvard Business Review, “The Kinesthetic Speaker—Putting Words into Action,” changed my view of public speaking. Maybe you will find it similarly illuminating. Why Do Public Speaking Skills Matter if My Job Doesn’t Require Them? 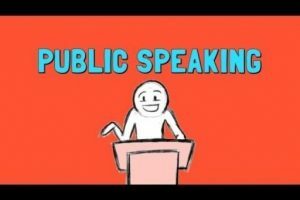 Do public-speaking skills matter if you are not a regular on the speaking circuit? Yes! Public speaking is just one form of oral communications. Regardless of your specific function within your utility, to a large and increasing degree, your professional success depends on effective oral communications. And public-speaking tips can easily be used in many other communications settings. Think about the strategic challenges facing your utility — reorganizing, possibly merging, deploying new technology, recovering from poor customer satisfaction or customer experience scores, price increases, introducing a new service or redesigning a business process. Most of these initiatives are being implemented via cross-functional teams. You may be asked to lead one of those teams. Many of those initiatives fail, often because of ineffective or inconsistent communications. If you are a skilled oral communicator, you are more likely to succeed leading a cross-functional team. Your job may not require being interviewed by the news media. And you may not have to regularly lead large, all-hands meetings at your utility. But if part of your job involves influencing others, strong oral communications skills will make you more successful. John Egan is available for speaking engagements on a variety of utility communications and marketing topics. Contact him at 720-949-4906 or [email protected] for more information.